The Capital Grille in Garden City is a steak restaurant on Long Island that offers a great atmosphere with incredible food. Easy to access for Long Island locals – right in the heart of Roosevelt Field Mall. 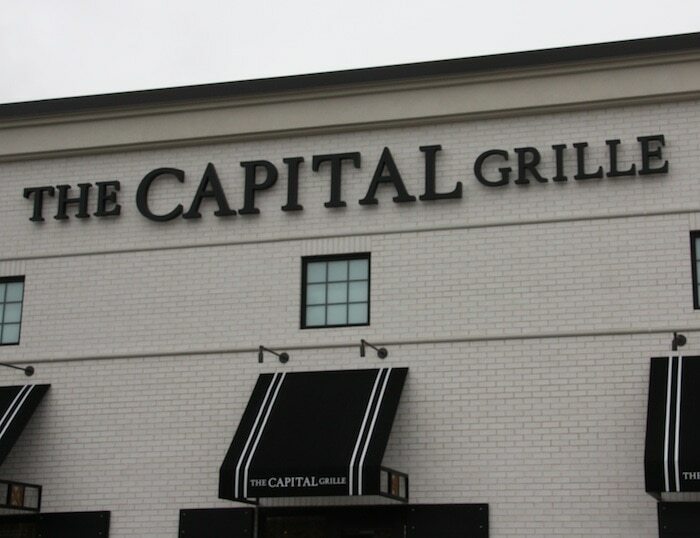 I had never been to a Capital Grille, but had heard nothing but good to really good things about it. Lucky for me, a new location just opened 2 minutes from our house in Roosevelt Field Mall, Garden City, LI, NY! Roosevelt Field is awesome…it’s the 5th largest mall in the US and has it all from Gap to Burberry. Now, it’s really building out it’s dining offerings. 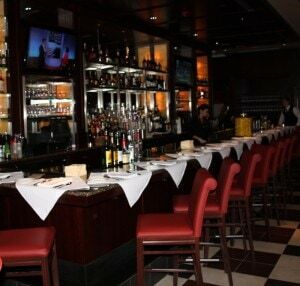 Capital Grille is already a home run! I’ve been saying for years that we need a high-end steakhouse in the area…and ask and ye shall receive. The manager said it has been one of their best openings to date…with full staff and valet needed already, way ahead of plan. 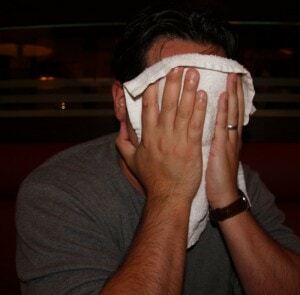 The bar is packed from noon on…I couldn’t be happier. First off, the outside and inside are very warm and inviting. Very refined and “manly” but to a point. I don’t think it’s intimidating at all, as seen in the vast mix of moms, businessmen, and young couples dining for lunch that day. The theme and design is pretty standard, but with local touches…like famous folks from Long Island adorning all the beautifully finished walls. The service matched the decor and design…very knowledgeable and polished…first class and obviously well-trained. They were attentive but not overbearing. You can tell the management has it all down. They can pick the right talent and mold them the right way. A real pleasure. Now..onto the food. What a pleasure. Steakhouse, done very “well” (sorry about that). 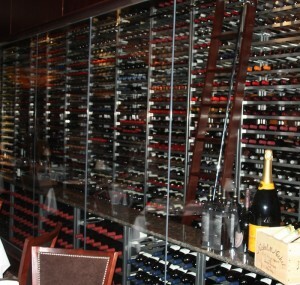 The classics were all there…the iceberg and bleu cheese wedge, the porterhouse, the potatoes, the bold red wines. They were there and done well, but with some innovations. Dishes like the sliced filet mignon cobb salad and the Kona-coffee crust option for all steaks really set the standard and showed that this is not your average steakhouse. There is time and effort put in to getting the classics people come to expect correct, but also giving some new and more innovative options. My buddy and I (he has been to the NYC – Chrysler Building location a dozen times) started off with an outstanding cocktail…grapefruit infused (not juice mixed) vodka to go along with Natura sparkling water and an amazing (small) cold seafood platter including lobster, shrimp, and oysters. Great beginning…I can get into this…the app menu was solid!! 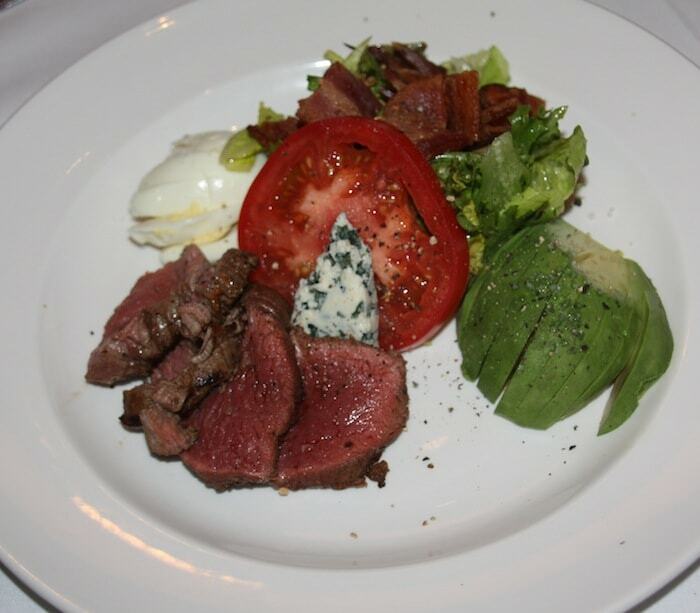 From there we got the bleu cheese wedge and the filet cobb. Well done, nicely presented. Great salad course. 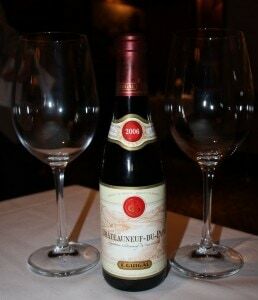 From there we dipped into a fine half bottle of wine…only $18!! There were definitely some pricey choices, but a nice mix of reasonable ones as well. Good list, really. One to the main! 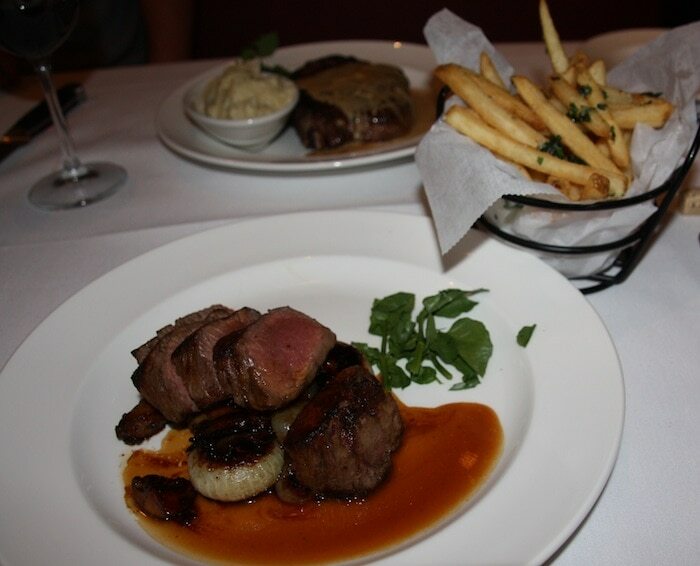 We split the NY Sirloin and the Sliced Filet Mignon with Cipollini Onions and Wild Mushrooms. The sirloin was great, cooked perfectly at medium rare, and coated in that really tasty Kona coffee rub. The sliced filet did not lose any of it’s tenderness and the carmelizes onions were perfectly charred and added a welcome sweetness to the dish. Really well done…innovative, not crazy, yet familiar and comforting. 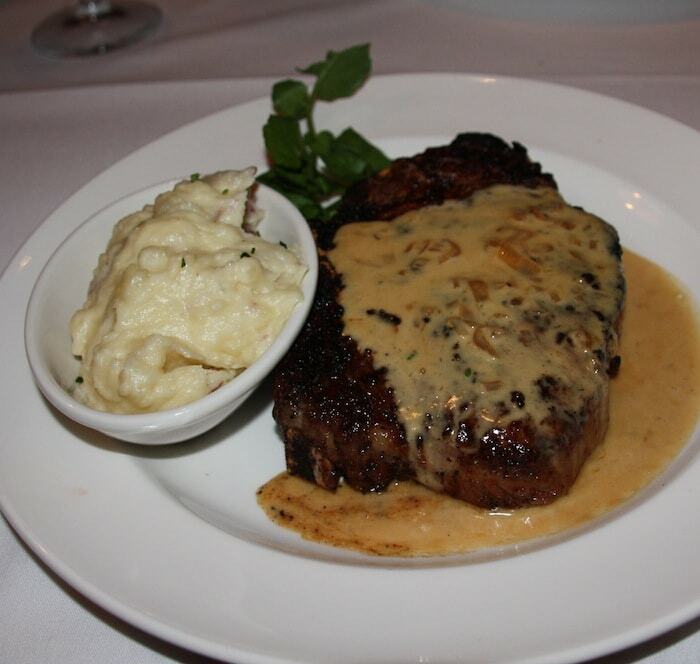 We paired that with all starch, baby..truffle fries and mashed potatoes…well done also!! Capital Grille Roosevelt Field was absolute perfection. 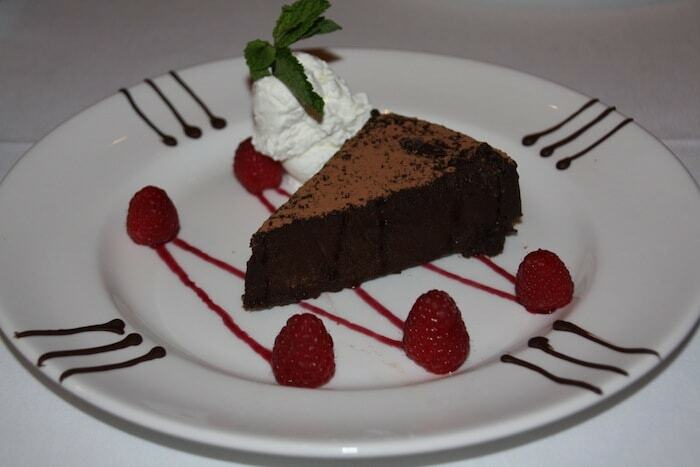 For dessert, some fine coffees matched with a creamy and delicious cheesecake and chocolate cake. So rich, so good..
To top it off…there is a special running now until November 4th…lounge and bar seating…$25 for a Wagyu beef burger topped with crispy onions and fried egg paired with a glass of either Silver Oak, Alexander Valley Cabernet Sauvignon or Belle Glos “Las Alturas” Pinot Noir. 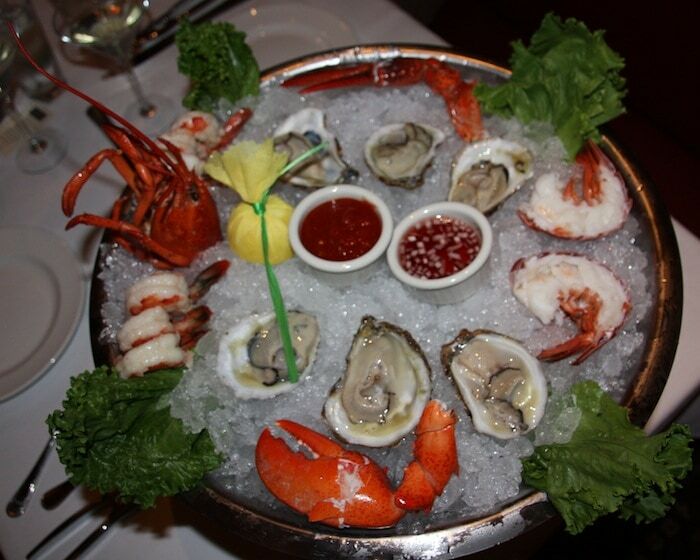 All of this for only $25…the glass of wine would be $25 alone!!! Now, while it was not exactly cheap, I felt it was a good value given the food, decor, and service. All top-notch all the way. A truly great meal. I hope to return very soon. Plus, they even have a private room w/ a flat screen that fits up to 48!!! Perfect for an date with friends, parents, or the spouse…check out all the pics below! Keep up with the latest on Twitter and Facebook, too!